Metropolis, the first feature length science fiction ever made, and it influences can still be seen today other sci-fi films such as Blade Runner, Terminator, and even The Hunger Games. 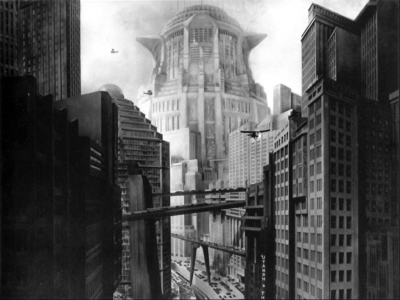 Metropolis takes place in the future in an urban dystopia where the rich live in the prosperous city of Metropolis, whereas the poor slave away in their underground city to provide power for Metropolis. The story revolves around Freder, son of the wealthy ruler of Metropolis, after he meets Maria, an almost saint to the lower class. Freder tries to act as a mediator between the upper and lower classes to prevent an unnecessary uprising, in a story that features robots and political corruption. Does this plot summary sound strangely familiar? Almost a hundred years ago in 1927, nothing like it had ever been put to film, until Fritz Lang decided to bring his story to life in his film, Metropolis. Being that the film is nearly a century old; parts of the original film have unfortunately been lost and degraded over time. The most recent 2010 restoration, which is the version that I watched, is the closest to the original of the version currently available. Some scenes are vividly restored to high definition quality, while others literally have hard lines through the film. For the most part however, the visual restoration holds up well. Even though the missing parts of the film can make following the plot a little more difficult than necessary, the added text cards explains what happens during those scene. 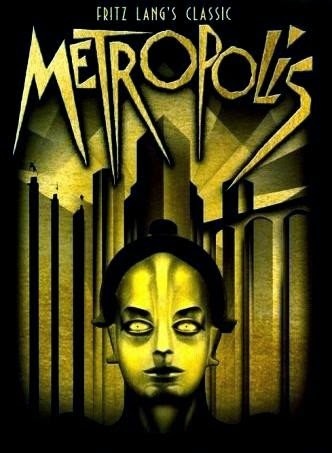 Plot: 8.4/10- Metropolis' plot is full of metaphors and commentary, which many modern day films continue to convey. Sure, more recent films have executed the same idea more effectively, but for the first sci-fi film, this is quite an achievement. The plot itself is rather straightforward with a few twists and turns along the way. There are allusions to Biblical elements, although the use of said elements is somewhat odd at times. On the negative side, the story can be a tad confusing since not enough text of what the characters are saying is displayed. Also, the translation from German to English on the text cards is awkward at points. Characterization: 6.0/10- Freder, the main protagonist, is not clearly defined in the film. Within the first 15 minutes, he changes from the rich son living the highlife to a lovestruck sympathizer of the poor. Granted, Metropolis is an old silent, so I can cut it some slack. Maria and her robot double are the most interesting aspects of the film. Robots in general were a somewhat new concept at the time, and Metropolis is one of the films that popularized the concept, so Maria, to my knowledge, is the first true humanoid robot put to film. Rotwang, the inventor of the robot, does not have clearly defined motivations for the majority of the film, or I missed something. Towards the later part of the movie, I began to understand, but his relationship to Freder's dead mother, Hel, was not defined. 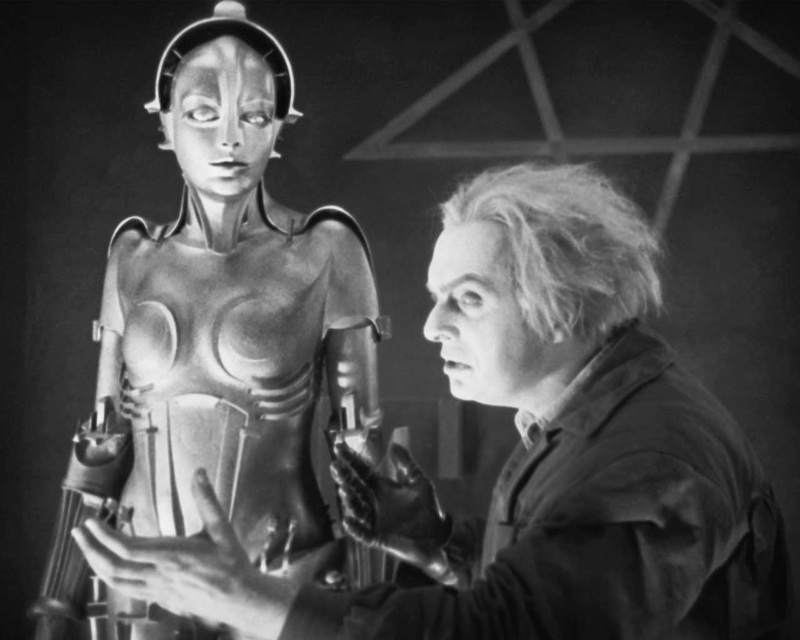 Acting: 7.0/10- Metropolis' acting is very much a product of the silent era. Without the use of sound, all of the acting is extremely over exaggerated, over-the-top, and over dramatic to a laughable degree, particularly the extras. Brigitte Helm is easily the best actress of the film, playing both Maria and her evil robot double. As Maria, she gives off an effective saintly and kind aura in her movements and expressions, whereas the robot double is very suggestive and seductive in her expressions and movements, making both performances by Helm one of the strongest aspects of the film. Special effects: 10/10- Wow! Just wow! For the era, the special effects, set design, scale, and editing are impressive. Without the use of CGI or even old green screen, director, Fritz Lang, crafts giant sets and mini models to bring the city of Metropolis to life. At times, there are hundreds of extras in wide long shots running through the massive sets with various moving machinery and other effects. 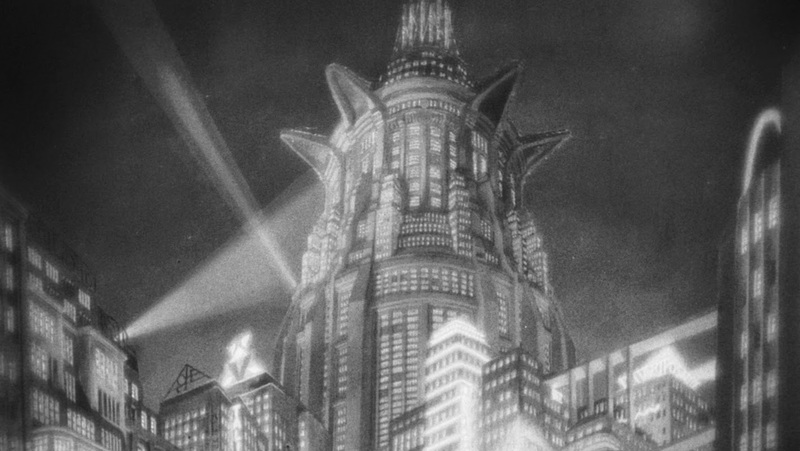 In a way, Fritz Lang created one of the first steampunk aesthetic with Metropolis. Lang's camera work and layered editing of clips on other clips is not something that I have seen in films from around the era. Soundtrack: 8.6/10- With a film where the only sound the audience hears is the music, the score better be good, and Gottfried Huppertz's original score, performed by the Berlin Radio Symphony Orchestra in the 2010 restoration, is certainly excellent. While many older scores sound the same and overly dramatic, Huppertz's music fits the film excellently. Entertainment Value: 7.3/10- Despite dragging in a few places, Metropolis' story and visuals was able to hold my attention for the majority of the film. Overall: 8.1/10- Despite its age, Metropolis holds up so surprisingly well today. Sure, other films later might have executed the concepts and ideas better, yet the first car ever built is not the best one and the original should always be appreciated. 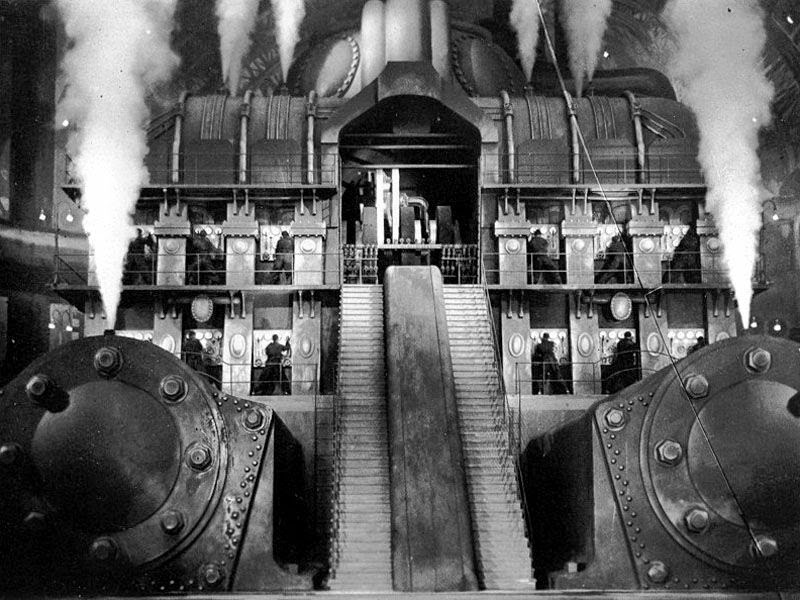 Closing comments: If you watch only one silent film, Metropolis is probably your best bet, and if you are a cinema fan or a fan of classic sci-fi, this is a definite must watch for its legacy alone.